I’m surprised we didn’t see the newest Hustle Jackets uploaded today or the new bags. I’m a little bit disappointed that I didn’t see anything I liked such as the Itak Print Tanks but it’s for the best because I really didn’t want to buy anything today anyways. Reader Vicki speculated that we may see some new Dance Studio Pants hopefully in new colors such as Raw Blue because she got a product notification listing Black Dance Studio Pants Unlined which means there part of the Spring line. I may have pulled the trigger today on Pique Still Pants or Relaxed Fit Pants, I’m sad that we haven’t seen that yet and I’m losing hope on the dream. Modern Racer Tank. I love the Modern Racer Tank, I have White, Black and Chirp which I used when I was pregnant and they’ve held up superbly. I still get use of the larger sizes but I think if I were to get one now I’d go down one size to a 6 or possibly stick with the 8 for a loose in the tummy fit. I think in the picture below she stayed TTS. I’m passing on these for another color run and hopefully we see ones with print. Still Pant Black/Sailor Stripe Print. 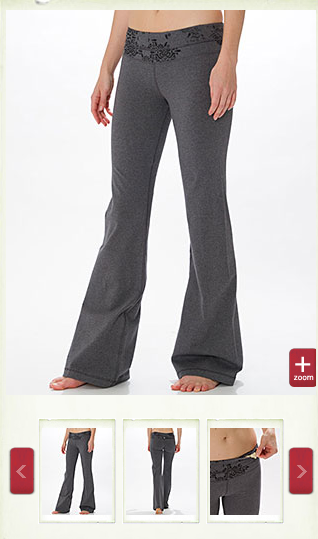 These are quite cute, I like the vertical sailor stripe at the waist. 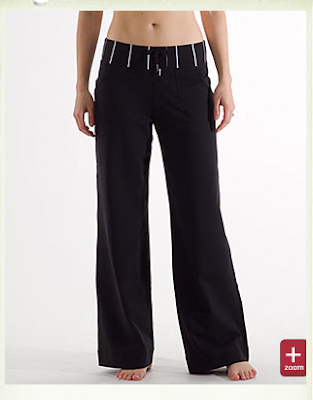 But since all my tops cover the waist and I have lots of black luon pants already I can pass on these. I think if your going with the Sailor Stripe waist you should complete the look with the Stills over the Relaxed Fit Pants since the Stills have the more flared leg, true to sailor style. Groove Pant *Organic I almost want these except for the fact that my shirt would always cover the print which is what I love most. I’d like some Organic Grooves in my future but since I have them in Pique I can pass. Scuba Hoodie Casis Micro Stripe. 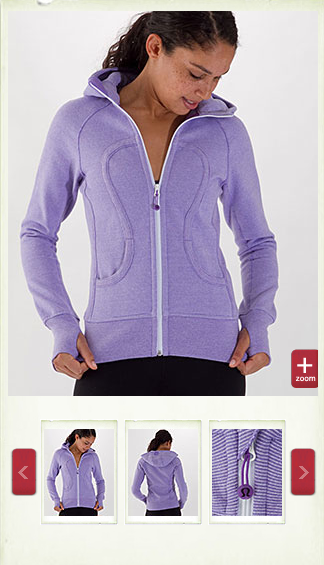 I like this one but not the white zipper on it.